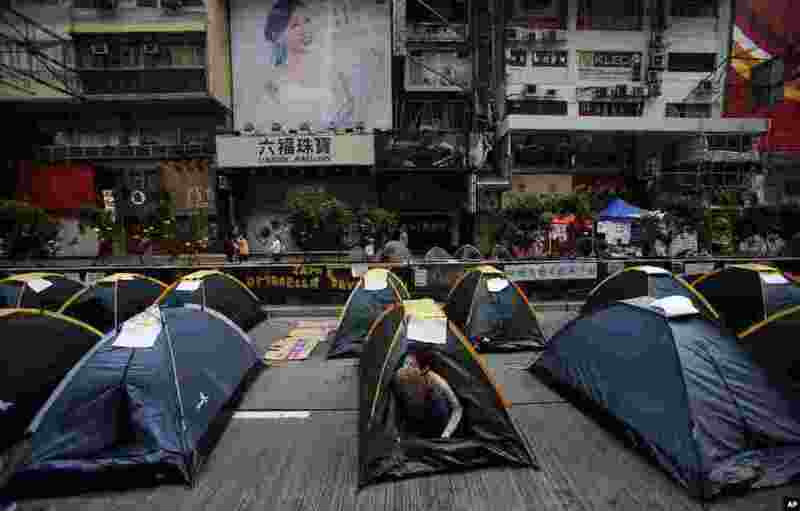 1 A pro-democracy demonstrator wakes from her tent in an occupied area of the Mong Kok district, Hong Kong, Oct. 16, 2014. 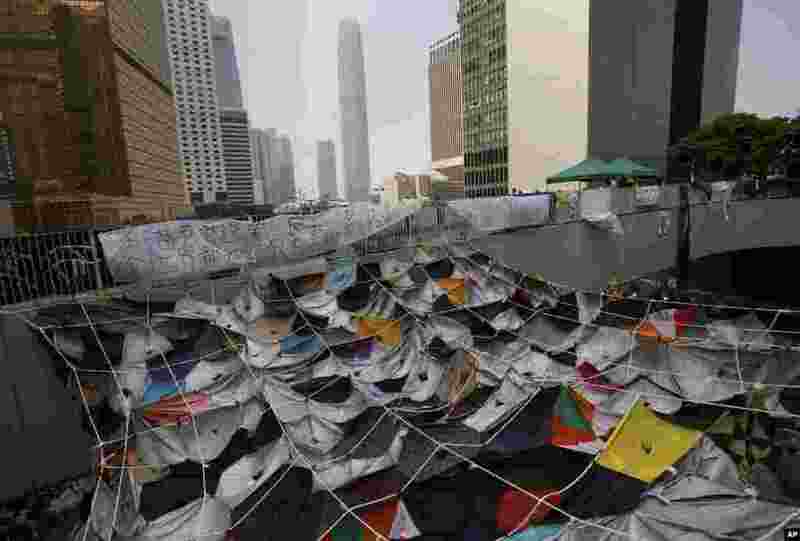 2 An art installation made of umbrellas is seen at an occupied area near government headquarters in Hong Kong, Oct. 16, 2014. 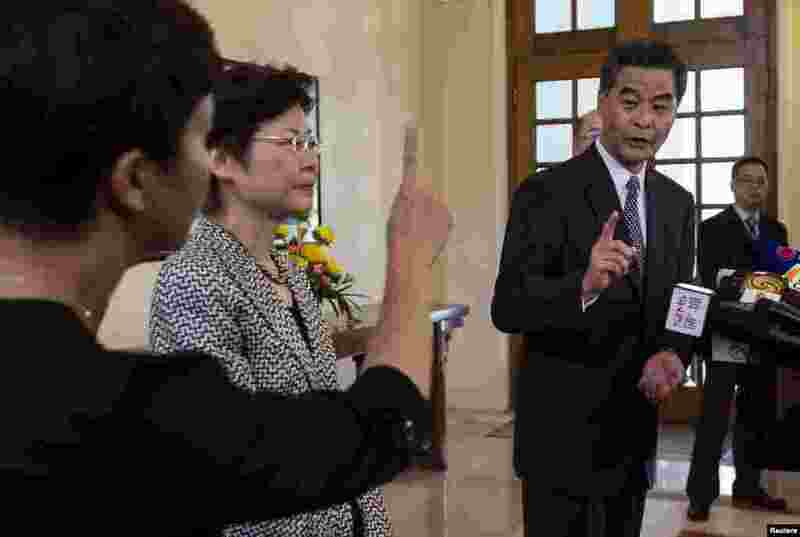 3 Hong Kong Chief Executive Leung Chun-ying said during a news conference that he hopes the government can hold talks with the pro-democracy students as early as next week, at Government House, in Hong Kong Oct. 16, 2014. 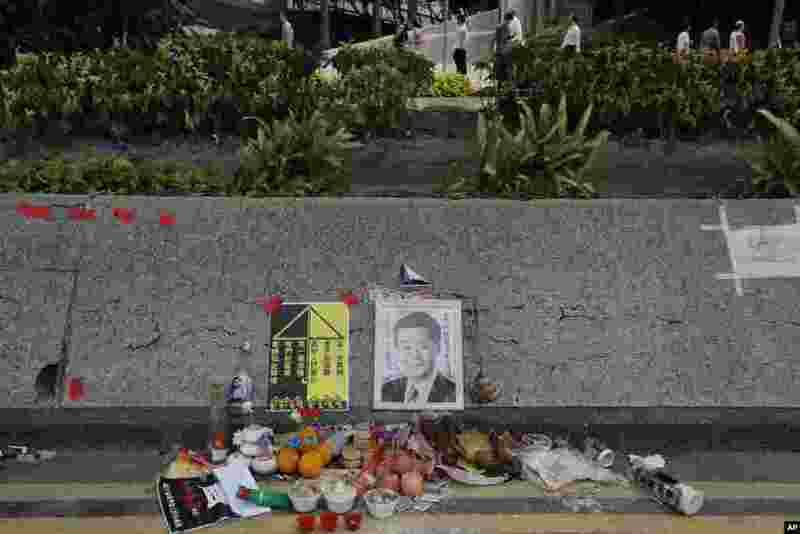 4 Offerings are placed in front of an altar set up by pro-democracy demonstrators to mark the symbolic death of Hong Kong Chief Executive Leung Chun-ying, near government headquarters in Hong Kong, Oct. 16, 2014. 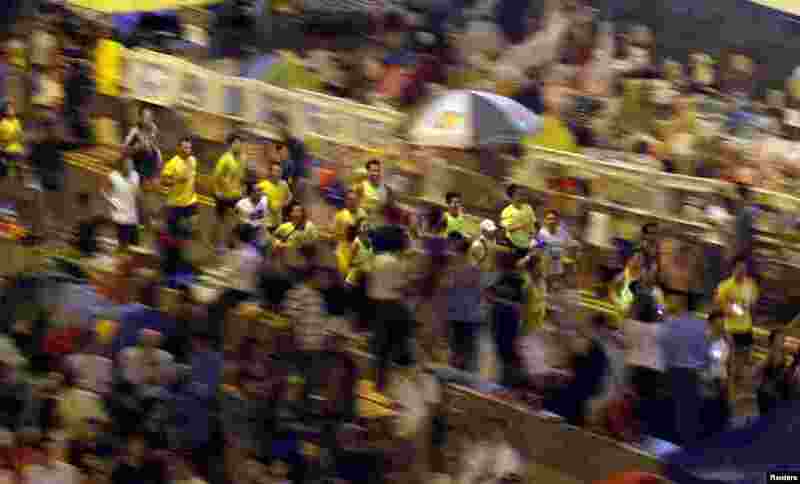 5 Runners participate in a 5km run in support of pro-democracy demonstrators near a blocked area outside the government headquarters, in Hong Kong, Oct. 16, 2014. 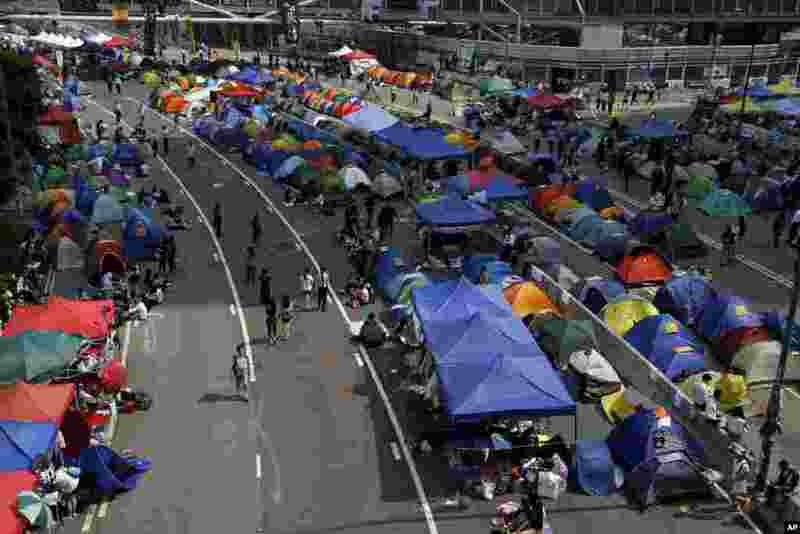 6 Lines of tents set up by pro-democracy demonstrators occupy a large area outside government headquarters, Hong Kong, Oct. 16, 2014.